The Tube carried a record number of passengers last year, according official figures published today. London Underground (LU) carried 1.265 billion passengers in 2013-14, compared with 1.229 billion the previous year. The year-on-year growth of three per cent continues the rapidly rising demand for Tube services, with passenger numbers up by a third over the last ten years. It has introduced more frequent services on two of the network’s busiest lines – the Jubilee and Piccadilly. On the Piccadilly line, weekend demand from shoppers, tourists and regular travellers now means that Saturday afternoon services are almost as busy as weekday peaks, so service levels have been boosted from 21 to 24 trains every hour in each direction between midday and 5pm. Evening weekday services have also been increased, with an extra three trains every hour until just before 11pm. Extra trains are also now in service on the Jubilee line, enabling LU to operate the full peak service of 30 trains every hour for longer periods during the busiest times in the morning and evening peaks. LU also ran more services than ever before in 2013-14, with nearly an extra 600,000kms operated over the year. Mike Brown, managing director of London Underground, said: “It is amazing that the Underground is carrying a third more customers now than it did only ten years ago, and customer demand shows no signs of letting up. We know that London will see a rise in its population of more than a million people by 2031 – that’s the equivalent to a city the size of Birmingham. “The service increases we’ve introduced on the Jubilee and Piccadilly lines are just the latest step in our plans to deliver a modern Tube for London, with air-conditioned trains now operating on four lines, new signalling allowing us to run more trains on the Jubilee and Victoria lines and on the Northern line later this year, and bigger and more accessible stations at major interchanges. “We’re looking to the future all the time, and have asked manufacturers to work with us to build a new Tube train for London, capable of carrying more passengers more quickly and in greater comfort on the Tube’s deep-level lines. London Underground is the engine room of the capital and we will only keep pace with demand by running more services while being more efficient and customer-focused in everything that we do”. 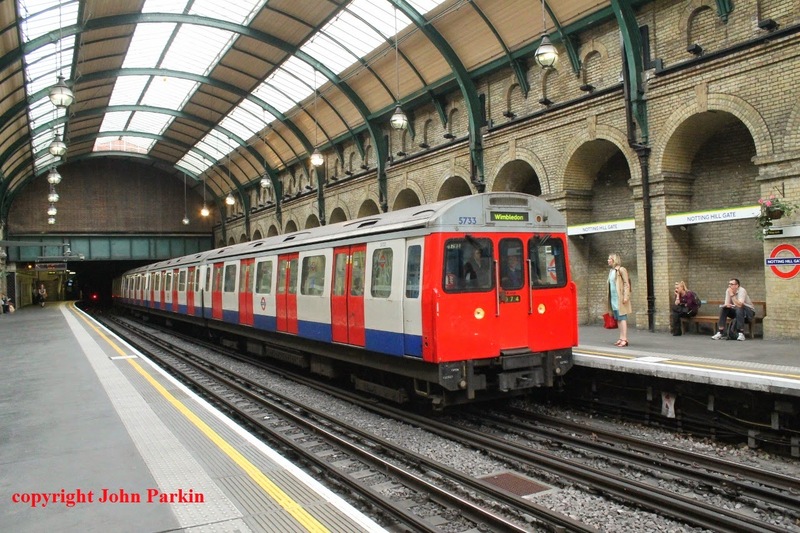 The oldest rolling stock on the London Underground ran its last in service passengers today (Tuesday 3rd June). The C-stock built by Metro-Cammell in Birmingham, was first introduced with the C69 type in 1970 and was added to by the C77 stock in 1977. All ran on the District and the Hammersmith & City lines. John Parkin has proved an example taken in the last few days of operation at Notting Hill Gate Station. The surrounding architecture of the station provides a fine and fitting end to this class of Underground stock.